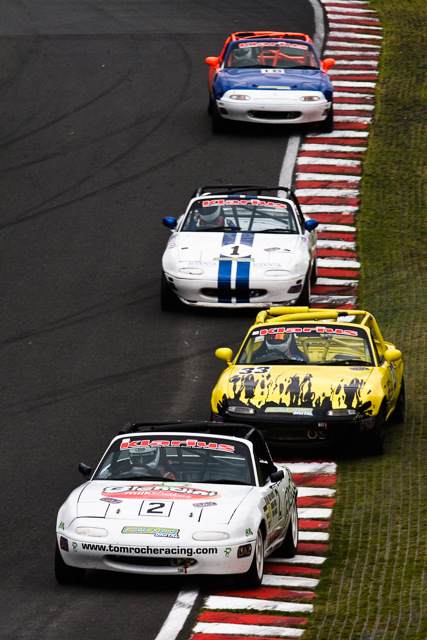 A few weeks back I entered the novice competition at Dunchurch Photographic Society (Novices as in never won one of their trophies, so pretty much open to anyone), I was both surprised and pleased when my “MX-5 Follow the Leader” image was placed 3rd in the print category, as motorsport images aren’t usually the judge’s cup of tea. This image is my favourite of 2009, by a long way and am glad that it has got some recognition. This entry was posted in Personal and tagged Ma5da Racing, Photo, Print by Lewis. Bookmark the permalink.